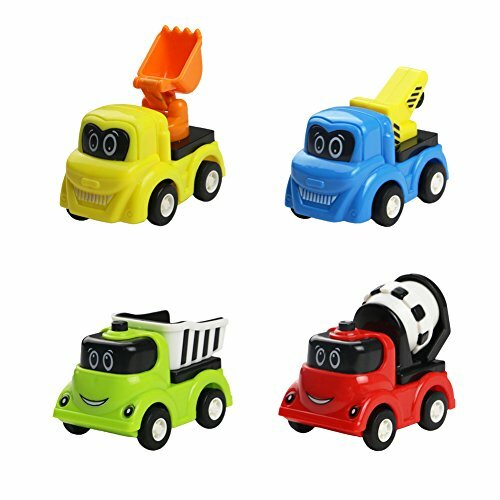 Mini construction trucks with adorable cartoon smile face, stimulate children\'s imagination. Different bright color car help promote the development of your child\'s color recognition. Lightweight and small size car with soft edges and curves,perfect for small hands to hold on. Powered by friction motor instead of battery, convenient to play anywhere. Notice:recommend for children over 3 years old. For use under adult supervision. They are super easy to use, just place them on the ground, pull back and let go!